One of the biggest trends we are seeing this Fall is the use of metallics in fashion, design and even food! 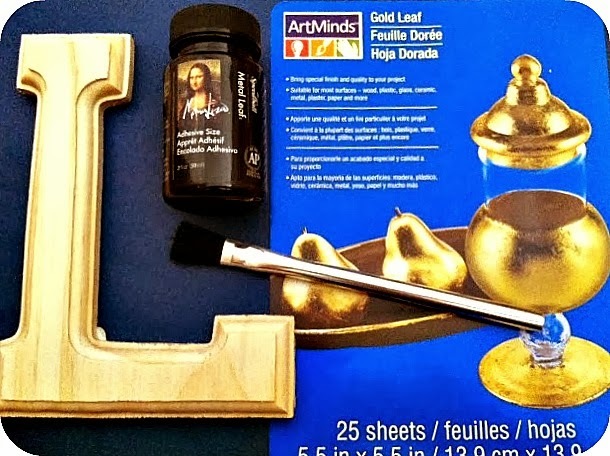 I have been obsessing about Gold lately and I wanted to do a super easy project so I pulled out some Gold Leaf, made a trip to WalMart for a wooden letter and Voila! a super easy and cute touch of gold to add to any space in your home. 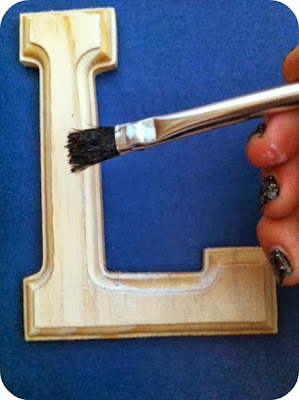 Apply Gold Leaf Adhesive to Wooden Letter. 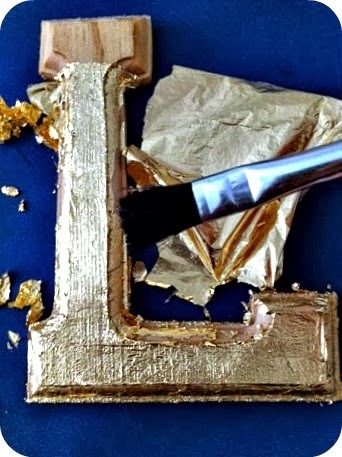 Carefully put sheet of Gold Leaf over letter and apply lightly with a paint brush. Parts of the gold leaf didn't stick but I liked how it gave it a more antique look. 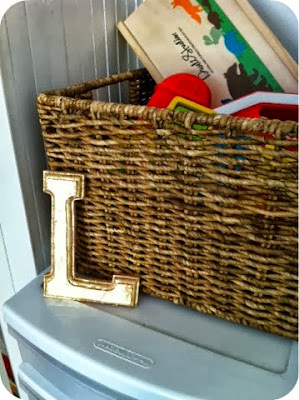 If you want to go for a baby shopping for incoming baby, then going for online shopping is the most convenient and accessible way to acquire all the things that you need without the need to go out of your home.